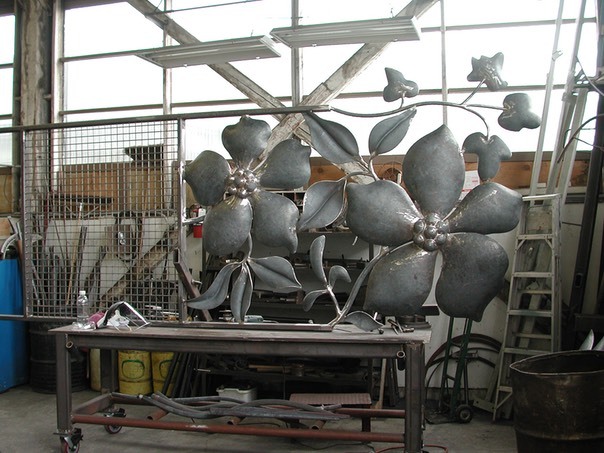 Big Flowers is a 50 foot long x 16 foot tall trellis and forged steel screen installed at the Adobe Headquarters in San Jose, CA. �The screen faces McEnery Park, San Fernando and S. Almaden Blvd. �Commissioned by Adobe Corp. and administered by the San Jose Arts Commission, 2003.